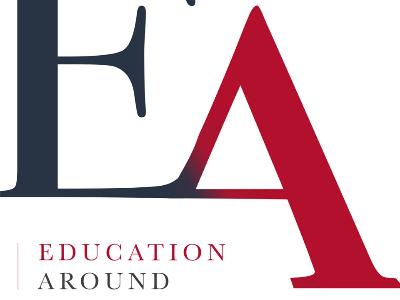 To confirm the excellent result achieved by the three-year and five-year degree programmes of Unimore in the Censis/Repubblica 2018 list of the EA blog - Education Around Magazine, which puts Unimore on the third position at a national level for the three-year and five-year degrees in healthcare and for the five-year degrees in engineering (with the same score of the Universities of Bologna and Trieste), and on the fourth position for the three-year degrees in engineering; in addition, the fourth place goes to the single-cycle degree programme in pharmacy. The universities considered in the ranking are 39 and the criteria used to draw up the classification are mainly five: internationalization, job opportunities, internships, alumni network and students experience. Masters Degree Programmes in Engineering of Unimore rank third with 76 points, the same as Universities of Bologna and Trieste, preceded by the Politecnico of Turin, which ranked first with 83.3 points and the University of Brescia with 79.7. This ranking was made based on the following criteria: job opportunities (53%), internationalization (20%), alumni network (17%), and internships (10%). As regards the three-year degree programmes in Engineering, Unimore ranks fourth with 71 points, preceded by the Politecnico of Turin (85.7), and the Universities of Trento (79.8) and Bologna (74.8). This ranking was made based on the following criteria: job opportunities (27%), internationalization (20%), alumni network (20%), internships (10%), and students experience (23%). The EA 2019 report literally quotes Overall, degree programmes in engineering confirm as the most suitable to ensure a fast future career to their graduates: in all the first six universities of the ranking, on average, graduates find a job within three months after starting the search. The ranking relating to the three-year degree programmes of healthcare professions sees the University of Udine at the top with 83.2 points, slightly higher than its peers on the podium. In fact, the University of Verona (81.5 points) and the University of Modena and Reggio Emilia (79.1 points) rank second and third respectively. As regards the masters degrees in healthcare professions, the University of Udine is not at the top anymore, as it is preceded by the University of Siena, winner with 75 points. Again, the second and third places go to the University of Verona and the University of Modena and Reggio Emilia, which score 73 and 70 points respectively. Here, the criteria examined are: job opportunities (53%), internationalization (20%), alumni network (17%), and internships (10%). Also the three-year degree programmes of Economics of Unimore perform well, at the 6th place of the ranking 2019, as well as the masters degree programmes in the Language and Agricultural fields, ranking 6th, too. The ranking does not include the Politecnico of Milan as Almalaurea was not given the data relating to that university.